The new Jeep Compass is a stylish and capable alternative to the default Hyundai, Nissan and Kia crossovers. This is the new Jeep Compass, a family crossover/SUV sized and priced to compete with the best-selling five-seat cars on the Irish market. That means the Hyundai Tucson, Nissan Qashqai, Kia Sportage, Volkswagen Tiguan and Toyota C-HR. The Jeep is offered in Sport, Longitude and Limited trim levels, starting at €27,995, and buyers choose between a turbocharged 1.4-litre petrol engine (140hp) or two diesels, the 120hp 1.6-litre tested here or a 2.0-litre unit available with 140hp or 170hp. Incidentally, the Compass is front-wheel drive and manual by default and only the 2.0-litre engine can be paired with all-wheel drive and/or an automatic transmission. Our test car, the Compass Limited powered by the 1.6-litre diesel engine, came as standard with 18-inch alloys (optional 19s shown in the pictures), LED daytime running lights and rear lamps (optional bi-Xenon lights shown in the pictures...), leather upholstery, heated and electrically adjusted front seats, heated leather steering wheel, dual-zone climate control, front and rear parking sensor system and park assist, cruise control and speed limiter, automatic lights and wipers, electric folding door mirrors, a powerful (560W) BeatsAudio stereo with a subwoofer in the boot, 8.4-inch touchscreen system with satnav, Bluetooth, DAB radio, Apple CarPlay and Android Auto and lots more, including an impressive arsenal of active safety. Options other than those mentioned include a scandalous €350 for a full-size steel spare wheel and the eye-catching white and black paint scheme. I really like how the Jeep Compass looks. I must admit to not taking too much notice of it when images were first released, but in the metal it's a stylish car, with plenty of chunky Jeep detailing mixed with perfect proportions. Naturally, it looks at its best in the high-spec Limited trim level photographed here with some choice options, but even so, it's a breath of fresh air in design terms, without being quirky or divisive in the least. The interior feels well-made, looks good and is well laid out, too, and the large touchscreen is one of the most responsive of its types. On the road, the Compass is quite refined, especially the 1.6-litre diesel engine, and if the body leans a little when cornering enthusiastically, at least that means good bump absorption when the surface turns nasty. It's actually one of the most pleasant crossovers to spend time driving, even if you'd never take it out for a Sunday morning blast for the fun of it. When there's a Jeep badge on the back and the iconic seven-slot grille on the nose, you kinda expect a car to be good when taken off the beaten track, but this particular Compass is not. For one, it sends all its power through the front wheels, which means traction issues if you try to deploy all of the torque on the exit of a tight corner, and secondly, we found that there was insufficient ground clearance at the front to straddle a mildly raised centre section on a dry laneway. Happily, Jeep will sell you a version of the Compass with four-wheel drive, though only in conjunction with a more expensive (and less efficient) 2.0-litre diesel engine, which is clearly not what the majority of Irish crossover buyers spend their money on. What do the rest of the team think? The Compass is probably going to get lost in the Irish market, swamped by a tsunami of Qashqai and Tucson sales. That's a shame, because it has bags more character than either of those cars. It's not perfect, but it's stylish inside and out, and I personally prefer it to its rivals from Nissan and Hyundai. And why have you given it this rating? The Jeep Compass is a welcome and worthwhile addition to the already quite busy family crossover segment. To live up to its heritage, it should have all-wheel drive, but we can't blame Jeep for making a car that fits in with what buyers want first and foremost. This really is a great alternative to the top sellers in the market. 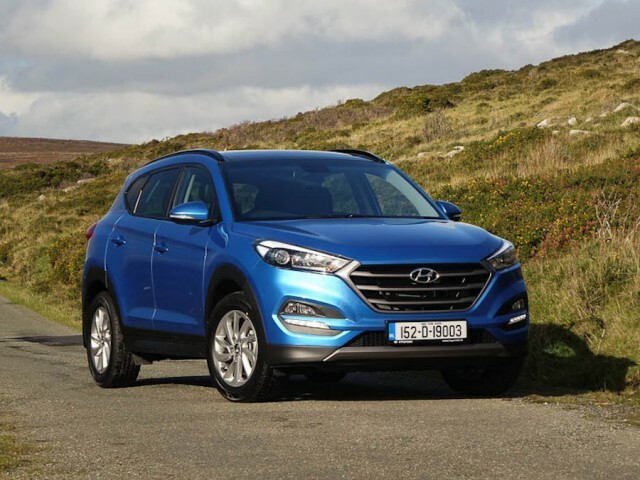 Hyundai Tucson vs. Jeep Compass 1.6 diesel: mild facelift coming for 191, which will only enhance this best-selling car's prospects. Mild hybrid tech coming too, but most will go for the new 1.6-litre diesel model. 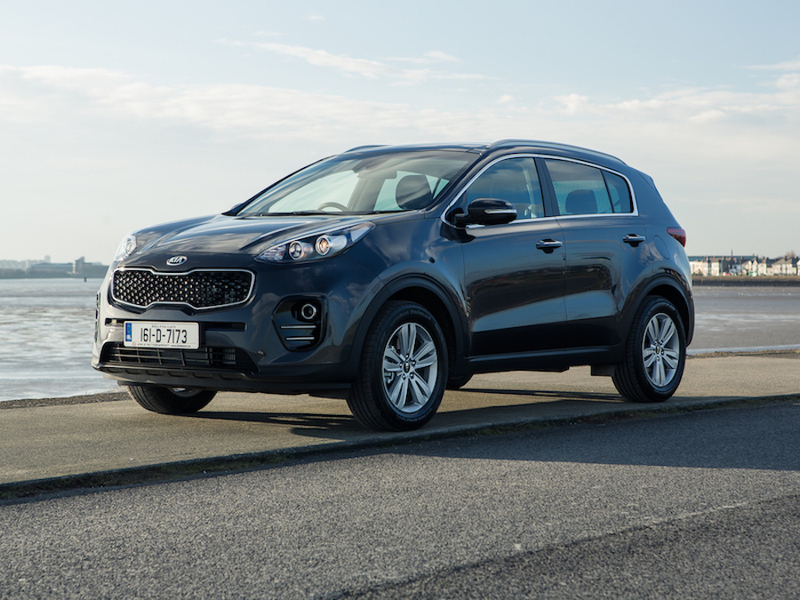 Kia Sportage vs. Jeep Compass 1.6 diesel: another car due its mid-life update soon, the Sportage and Tucson share a lot, including a forthcoming new 1.6-litre diesel engine. 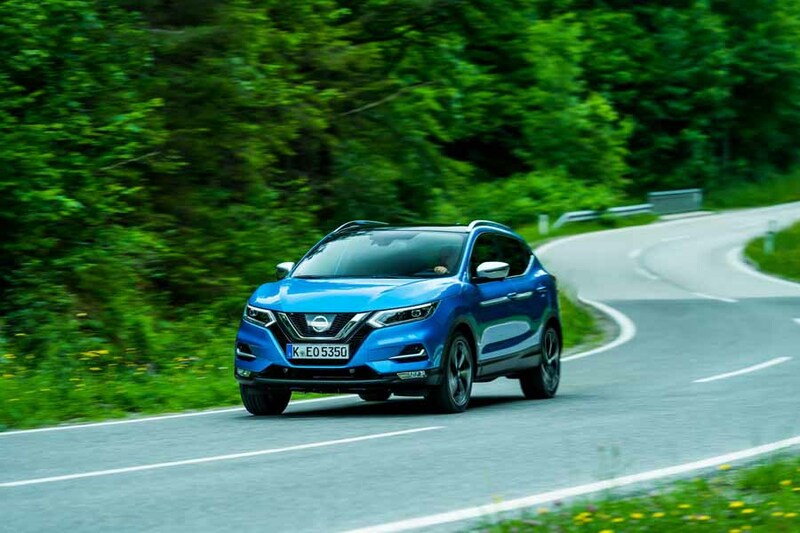 Nissan Qashqai vs. Jeep Compass 1.6 diesel: credited with starting the sector, the Nissan Qashqai still vies for top spot in the sales charts, and it's a solid investment, if not the most exciting option.